Today, PAN Software delivers a progressive enterprise risk intelligence software application—RiskWare—that caters to the entire spectrum of GRC responsibilities. RiskWare comes equipped with 10 integrated modules for risk management, corporate governance, incident management, business continuity, corporate governance, compliance, health and safety, environmental management, audit management and risk analytics. Conforming to ISO 31000:2009, RiskWare effectively breaks down the silos in an enterprise by integrating all the aspects of risk within a user-friendly and consolidated web-based environment. For instance, a client can log into the system and access the dashboards to get a holistic view of the entire enterprise and drill down to monitor the incidents being reported by their safety or compliance teams. Also, RiskWare allows clients to have an insight into risks associated with the expansion of operations and check whether they align with their corporate objectives. RiskWare’s modular system allows business users to purchase and deploy the modules individually or opt for a specific combination based on their budget and requirements. 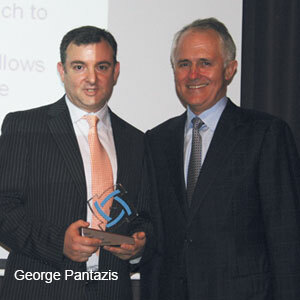 As George Pantazis, CEO of PAN Software puts it into perspective, "For instance, the standalone modules for risk management and business continuity interact and ‘feed off’ each other to provide a central view of risk.” The risk management module helps organizations identify, assess and mitigate potential threats (or opportunities) to business longevity. However, in case of an untoward event, the business continuity module kicks in to give the enterprise access to disaster management plans and ensures unhindered operation of the business. Complimenting the RiskWare platform is PAN Software’s mobile offering called pocketBCP, which allows key personnel to have access to business continuity plans 24x7 through their mobile devices. pocketAudit is another mobile offering that allows the personnel to conduct scheduled audits and analyze the audit data to assess the compliance levels and suggest corrective actions and recommendations on the go. PAN Software also offers an integrated cloud-based product suite—riskcloud.NET—which encompasses the complete spectrum of enterprise risk management along with additional options for claims and audit management. Dubbed as "RiskWare on the cloud," riskcloud. NET serves as a risk and safety platform that discounts the need for hardware and software installs, continuous consulting, and long-term investments. With a full-fledged R&D department dedicated to researching and developing machine-learning type algorithms to enhance their current risk products, PAN Software is focused on delivering true value to their enterprise clients. “Also, we're heading down a full-on mobile-first strategy as we look to incorporate machine learning and big data to provide risk intelligence to organizations through our product innovation strategy,” concludes Pantazis.